According to the latest report issued by Dubai Land Department (DLD), Dubai’s real estate market has experienced a strong start to the year, generating transactions worth up to Dh12 billion during the first 15 days of January 2017. The fourth quarter of 2016 witnessed major transactions in many areas. Two land plots in Al Hebiya 4 were sold for Dh900 million, while another land plot in the same area was valued at Dh750 million. Buildings also recorded high transaction numbers during this period; in Dubai Marina, two buildings were sold for a total of Dh17 million, while a building in Al Thunaya 4 was sold for Dh7.4 million. In terms of units, Dubai Marina recorded the highest value transaction of Dh29.7 million, while two units in Al Thunaya 4 were valued at up to Dh28.3 million each. During the first 15 days of 2017, land plots recorded 520 transactions worth Dh7.511 billion, while land sales claimed the lion’s share in terms of volume, generating 306 transactions worth over Dh3 billion. Mortgages excelled in terms of value, after reporting 190 transactions worth Dh4 billion. DLD’s report confirms that building transactions totaled Dh682 million. Segmenting building sales and mortgages, building sales recorded 287 transactions worth AED 532 million, while building mortgages performed 74 transactions worth Dh127 million. Individual unit sales and mortgages also saw significant activity, generating over Dh2.8 billion. 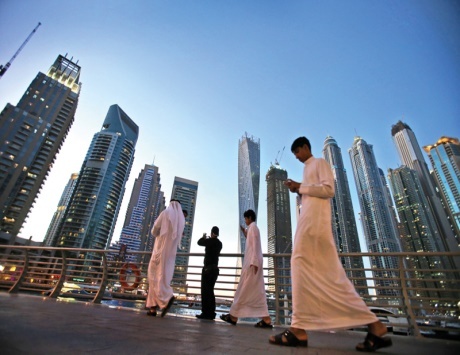 This was split between 1,616 sales transactions worth Dh2 billion, and 338 mortgage transactions worth Dh453 million. The value of transactions across the three categories – land, buildings and individual units – approaches Dh12 billion, achieved via 2,210 sales, 602 mortgages, and the remainder from other transaction types. DLD’s report identifies Dubai’s top five sales areas, revealing that the Al Satwa area benefited from a high level of interest for land sales, with 13 transactions worth Dh271 million. As for buildings, Wadi Al Safa 3 proved the most popular area, securing 74 transactions worth Dh129 million. Meanwhile the Burj Khalifa area has been highly attractive for individual unit sales, recording 156 transactions worth Dh483 million. The largest investment transaction recorded during the last two weeks was for a piece of land in the Zabeel 2 area, which was purchased for over Dh584 million. Following closely behind were two pieces of land in the Al Markaz Al Tujari 2, which were sold for Dh435 million, and an Dh114 million piece of land in Jebel Ali. Turning to buildings, Jebel Ali has topped the scoreboard after selling a building for Dh5.2 million. It was followed by AL Quoz, with a building sale worth Dh4.6 million, and Nad Al Shiba 1, with a building sale worth Dh4.3 million. In terms of individual units, the Burj Khalifa area maintained its leadership, selling one unit for over Dh18 million, and another for Dh12 million. Palm Jumeirah followed after selling a unit at Dh10.5 million.